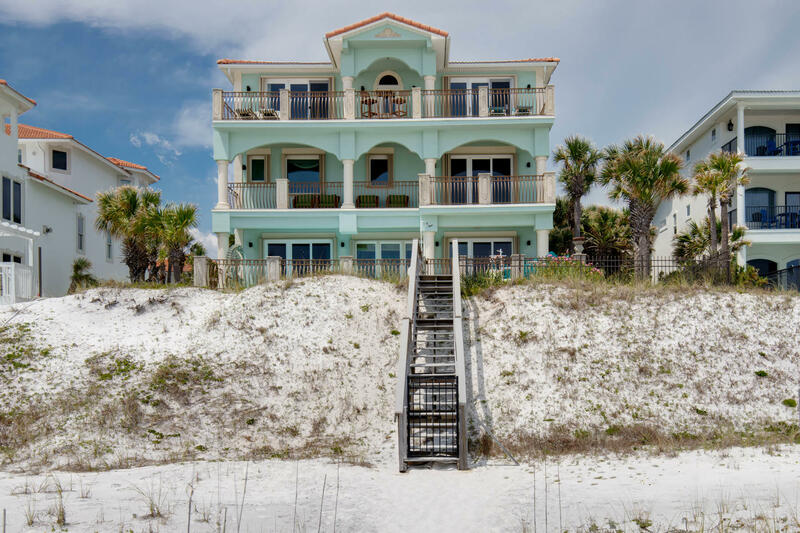 Casa de palmas is one of the most exquisite custom beach front homes in destin. 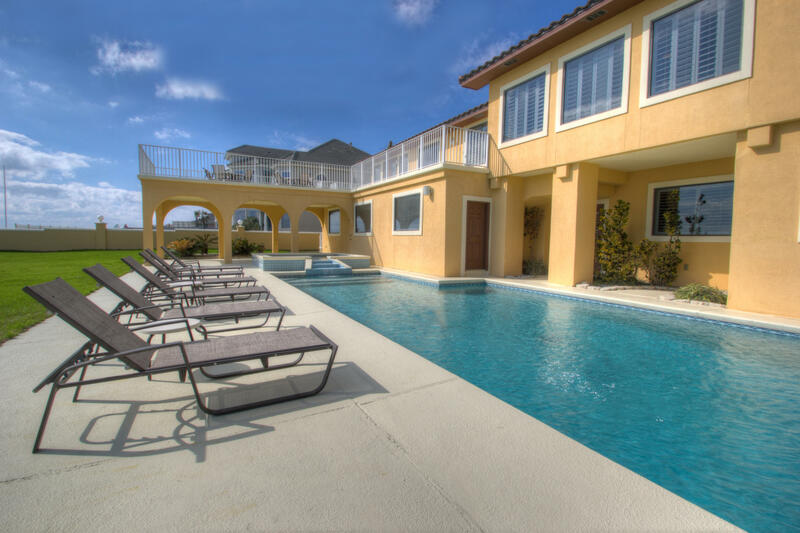 Ideally located in crystal beach, and set on 67' of beachfront, this could very well be your families perfect beach house! 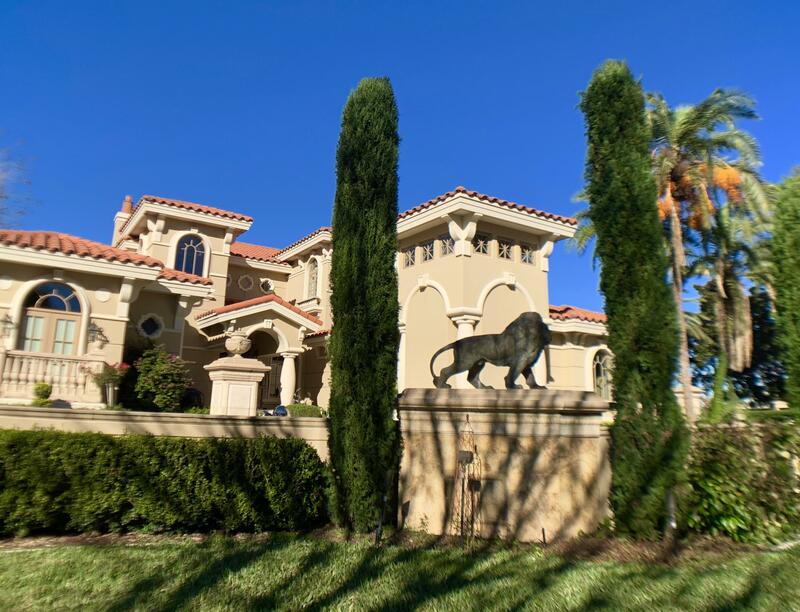 You first enter a courtyard shaded by palm trees, and are immediately greeted by an impressive grand entrance staircase with cast stone columns and balustrades. The custom walnut door is surrounded by a beautiful stained glass window installation that was made for this home. 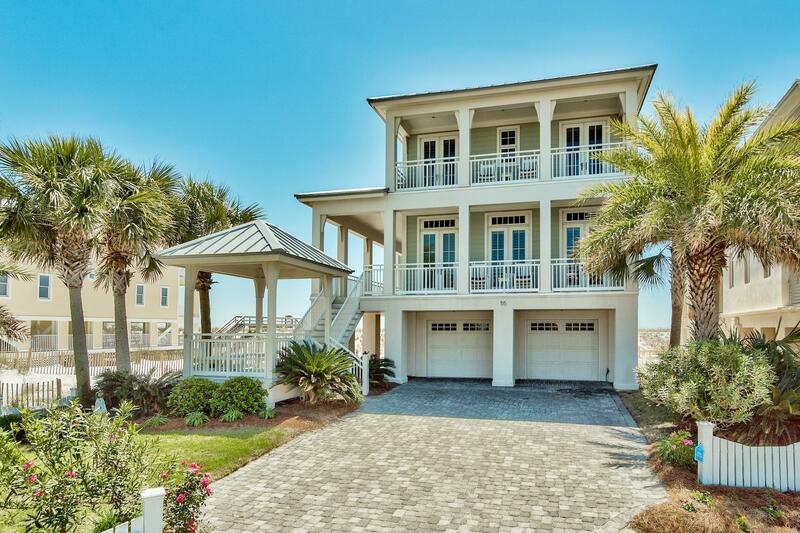 As you enter you're met by ocean views, but as you look closer you'll notice the comfortable and inviting floor plan, with many recent upgrades. There are pecky cypress ceilings in the main living areas and bedrooms, and a mixture of hardwood and stone floors. 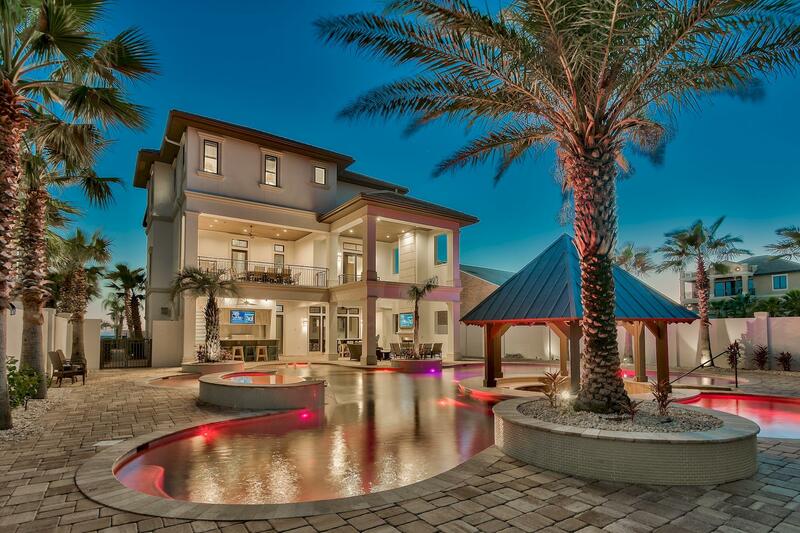 Masterfully built cast & pour concrete construction prominently situated on one of the largest residential home sites on holiday isle with 90' of deepwater harbor frontage paired with expansive gulf views and exceptional proximity to the beach. This home has been recently updated with coastal contemporary decor as well as a floor plan modification to bring the total bedroom count to eleven in order to optimize short term rental income with projections exceeding $375,000 annually with current actual income exceeding $370,000 year to date for 2018. As of 2018's 4th quarter, there is already $258,000+ booked for 2019. 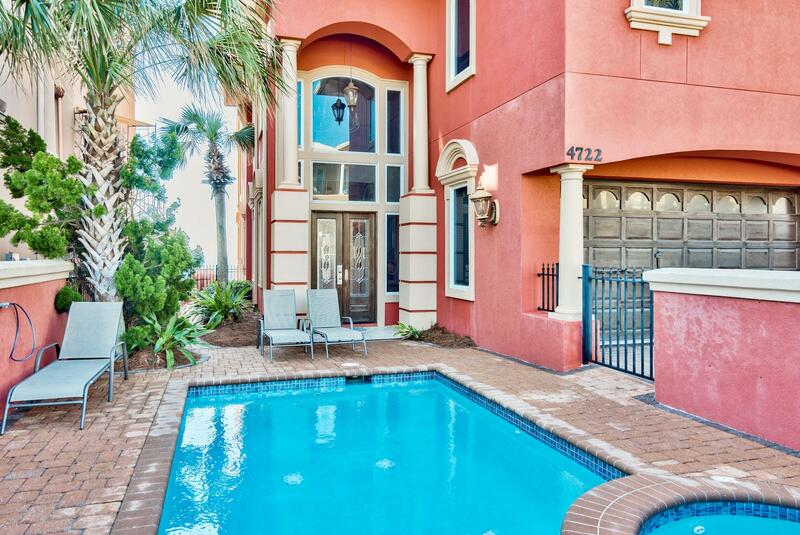 You will be swept up by the mediterranean styling of this beautiful gulf front home. 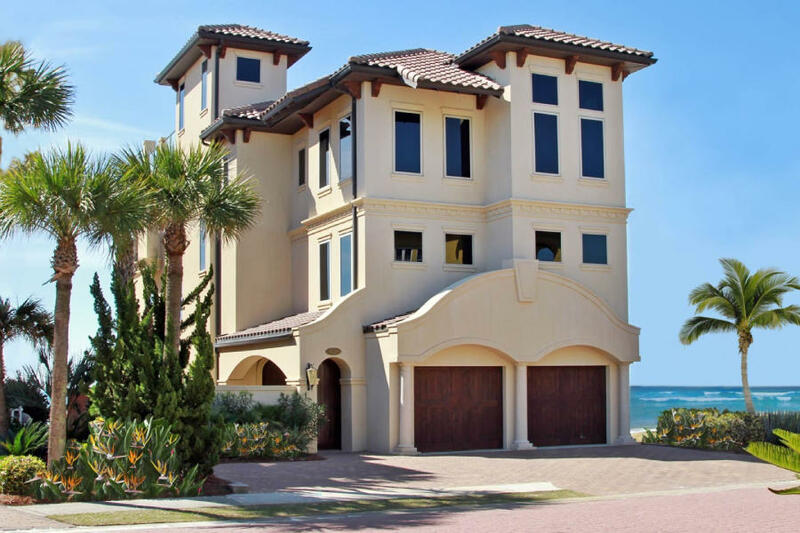 The expansive entry carries you to the next level with sweeping views of the gulf of mexico. The second floor offers an open great room, dining area and designer kitchen perfect for entertaining. The en-suite master bedroom features gulf views, a walk in shower & tray ceiling. Outdoors you will find a large in-ground pool with kiddie pool. The over sized balconies offer magnificent views of the white sandy beaches and emerald water. 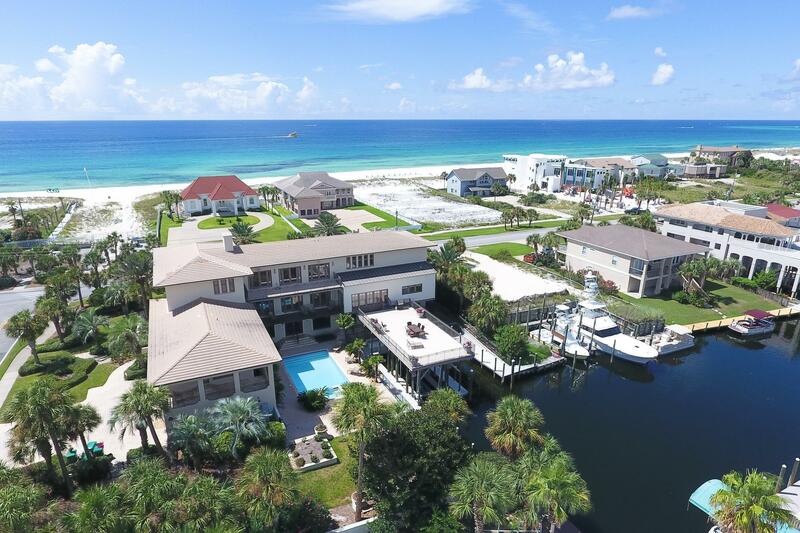 One acre/110 ft. Of water front prime real estate situated on destin's beautiful holiday isle. 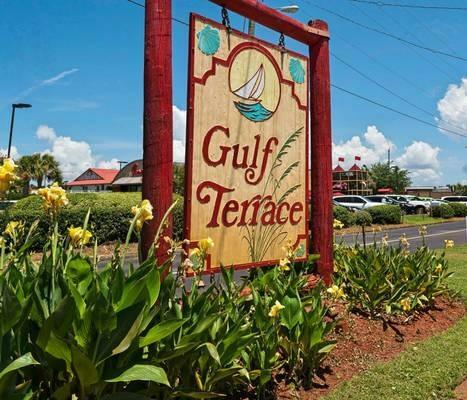 Additional lot with boat slips available separately.